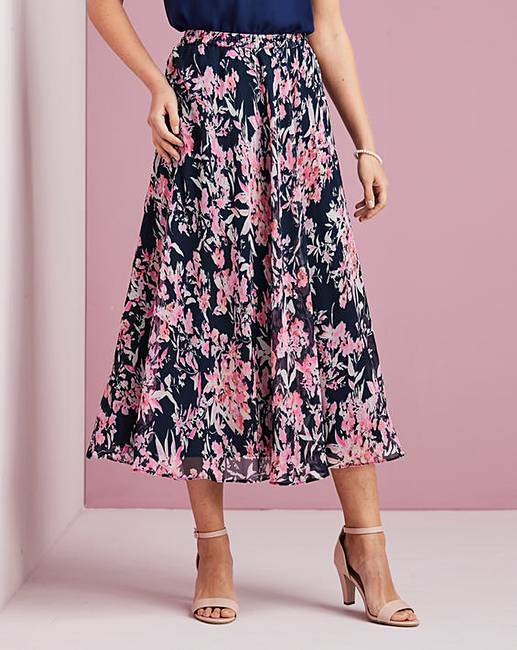 Nightingales Print Skirt is rated 5.0 out of 5 by 2. Exclusive to us - Nightingales. 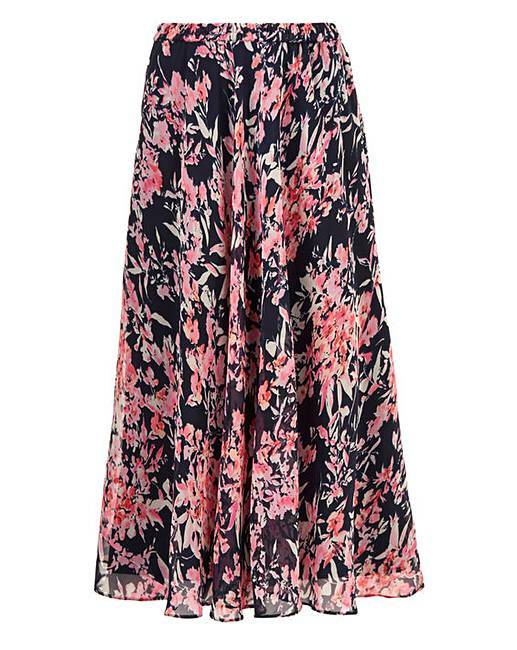 In a striking navy and pink print, this georgette skirt is the perfect wardrobe update. Elasticated waistband and jersey lined for your comfort. 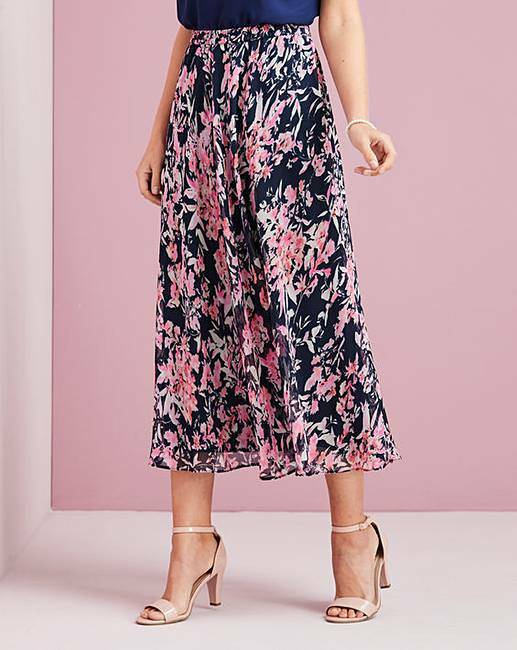 Rated 5 out of 5 by Andrea77 from Great skirt I love this skirt and it looks elegant once on. I do love the colours too! Rated 5 out of 5 by Jeanie from A very pretty skirt. Comfortable to wear Teamed this with a navy top & pink jacket for a wedding.